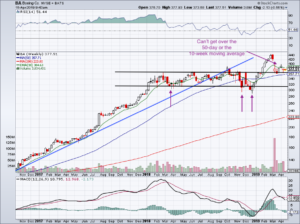 Home / Stock Picks / Stocks to Buy / Is More Downside Ahead for Boeing Stock? Should You Buy? 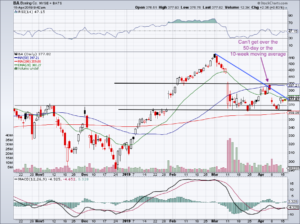 Boeing stock is clinging to support. Will it continue to hold? The news surrounding Boeing (NYSE:BA) is no secret at this point. The 737 MAX has some serious issues that have resulted in massive backlash against the jet maker. To be honest, Boeing stock hasn’t suffered as big of a blow as some would have thought, as support continues to lift BA. Does that mean it’s time to buy? Let’s look at what’s happening. Last fall, a 737 MAX operated by Lion Air crashed, killing all on board. There were concerns by pilots, but it didn’t stop airlines from keeping the 737 MAX operating in their fleet. Another accident involving the 737 Max occurred in March, with Ethiopian Air suffering a crash, leaving no survivors. This caused the industry to awake from its slumber, with countries and airlines quickly grounding their 737 MAX fleet. This is a terrible optic for the aircraft manufacturer, and it’s about to hit Boeing’s bank account. For a moment, forget about the possible order cancellations, potentially lower prices and lawsuits Boeing will face. According to their first-quarter deliveries report, the company did not log one new order for the 737 MAX in March. This isn’t some hokey jet at the bottom of its catalog, either. The MAX is Boeing’s fastest-selling unit right now. For the order line to dry up instantly says everything about what the industry thinks about the embattled airplane. If the solution isn’t a simple software fix, Boeing’s sales and earnings could be at stake. Not that it will bankrupt the company, but it will cause some investors to rethink Boeing stock in the near term. More likely than not, BA will get through the 737 MAX issue in the same way that Johnson & Johnson (NYSE:JNJ), McDonald’s (NYSE:MCD) or Disney (NYSE:DIS) and other blue-chip names get through issues like this. But that doesn’t mean it may not suffer more before moving past it. Click to Enlarge The 737 MAX has become a short-term focus, but it could become a longer-term worry. That’s why we’re looking at two charts, the six-month daily (above) and a 30-month weekly chart (below). I have updated these charts from my prior outlook earlier this month. As you can see on the short-term chart, Boeing stock continues to bounce with each test of that $362-ish level. It’s just above the 200-day moving average at $359, but BA stock is struggling to move higher. It put in a lower high earlier this month when it failed to reclaim the 50 DMA. If momentum fades here, it will secure another lower high and increase the odds that shares will break below support. That’s where the longer-term chart comes into play. There’s support in the low $360s, while the 50-week moving average is at $357. 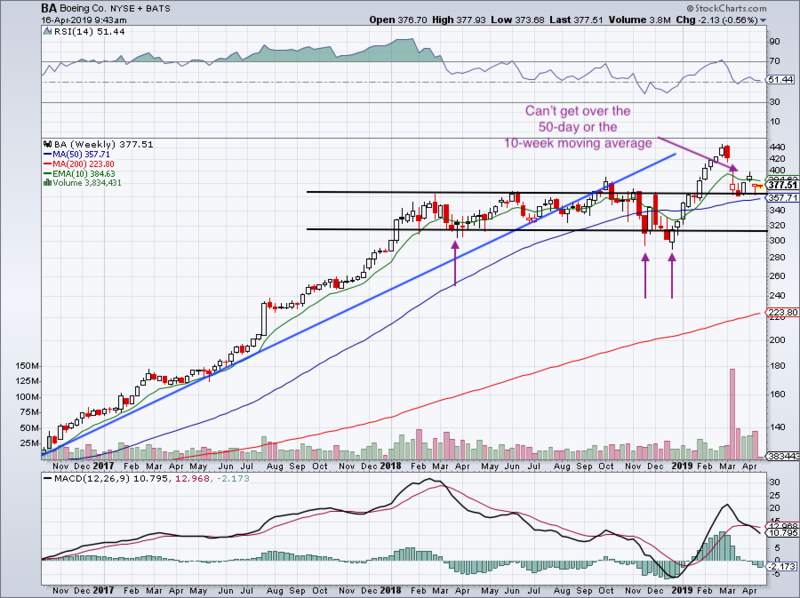 Click to Enlarge This 50-week/200-day combo should be enough to buoy Boeing stock on its first test. However, if there’s a gap down below this level, BA stock may quickly find itself back in its prior range. This rangebound action persisted for most of 2018, keeping the Boeing stock price between $315 and $360. The occasional break below range support was met with buyers, and you can see how BA shares have been finding prior-range resistance as current support. If support does hold up, we need to see the Boeing stock price push through the 10-week moving average and get above its 50 DMA. Until then, a break below prior resistance/current support is a possibility. Boeing stock will report earnings on April 24. It’s hard to imagine investors finding a sudden wave of confidence ahead of that report. The only exception? Perhaps management giving the all-clear and global airlines announcing the re-addition of the 737 MAX to their fleet. Estimates currently call for revenue to grow 2.4% to $23.95 billion in the quarter, driving earnings of $3.59 per share. This EPS estimate calls for a 1.4% decline year-over-year, and has fallen from $4.30 per share over the last 30 days, a 16.5% decline. The full-year estimates have also come down, although not as much. Full-year expectations now call for earnings of $17.81 per share. This is down almost 12% over the past 30 days from $20.21 per share. However, this would represent growth of more than 11% YOY, while revenue is still expected to grow 4.6% for 2019. BA is still a cash flow machine. It runs a very profitable outfit and has a deep backlog of new orders. Even with the disruption to the 737 MAX, this backlog should remain robust and keep Boeing’s long-term trajectory intact. That said, full-year estimates are perhaps the biggest risk to BA stock. If management comes out with a disappointing outlook or admits business-related headwinds, watch out! Covering analysts will likely cut their full-year expectations. 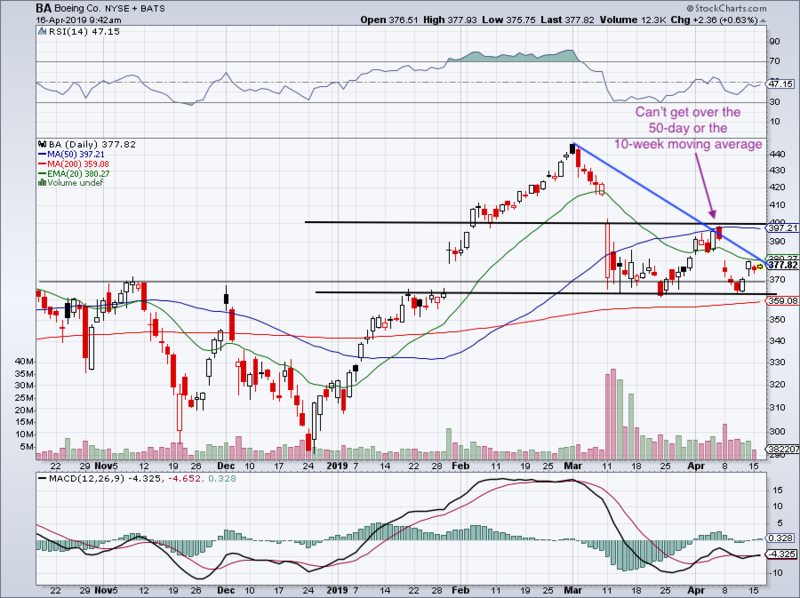 If that happens, Boeing stock could come under pressure and fall below those key support levels we highlighted. Of course, the opposite is possible too. 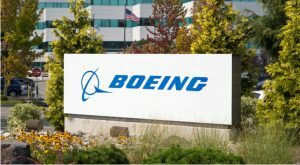 Article printed from InvestorPlace Media, https://investorplace.com/2019/04/buy-boeing-stock-or-more-downside-ahead/.